We can build your dream home! Let Ramsay and Son Construction design a custom home to fit your lifestyle. Our business has been family owned and operated since 1968. 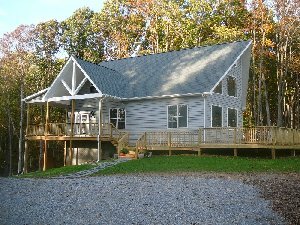 We pride ourselves on quality built homes and customer satisfaction. Ramsay and Son Construction is a Class A Licensed, fully insured contractor with over 50 years of experience designing and building custom homes, additions, kitchen and bathroom upgrades, custom wood cabinetry and tile work. We build high efficiency, energy star rated homes using environmentally friendly renewable products to save you money and help preserve our natural resources. We serve the Erie, Crawford, and surrounding counties. Whether you live in Erie, Edinboro, Waterford, Wattsburg, Fairview, Union City, Conneaut Lake or Meadville, Pennsylvania, we are available to build a custom home for you. Please call or e-mail us at the below address. We will be happy to meet with you to begin the process of making your dream home a reality!